List of Maryland schools offering degree programs in nursing, RN-to-BSN, RN-to-MSN, LPN, CNA, and more. Maryland is often, unjustly, overlooked unless you are in the US Navy. Surrounding the Chesapeake Bay, Maryland offers a living history in its war memorials and relaxation on the beach. Annapolis, the state capital, is also the site of the US Naval Academy. 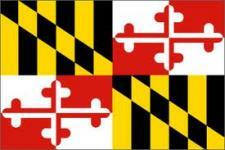 Maryland is another state that supports the Compact agreement for registered nurses and LV/PNs.